A Barrow state representative was taken by ambulance from the state Capitol Wednesday. 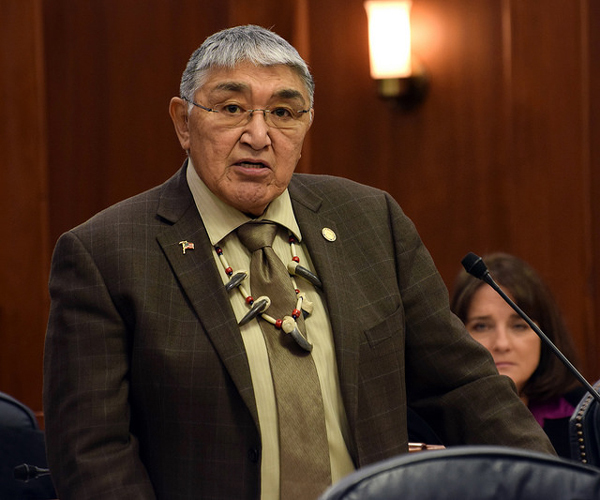 House Speaker Mike Chenault said Rep. Benjamin Nageak, a Democrat from Barrow, wasn’t feeling well and given his medical history, it was thought better to have Nageak checked by medical personnel than to do nothing. Nageak underwent a heart procedure in 2013 after doctors found blockages. Nageak had been speaking on the House floor to a resolution on drilling in the Arctic National Wildlife Refuge. Senate majority press secretary Carolyn Kuckertz said Sens. Cathy Giessel and Donny Olson looked at Nageak along with paramedics. Both have medical backgrounds. He is under observation at a hospital.